Last Thursday, my husband came home from attending/assisting at a course this week and asked when my next blog post was coming out. Confused, I asked him why because he normally doesn’t monitor the frequency of my content output. Apparently, one of the course administrators approached him at the course and asked when my next blog post was going to be up because I hadn’t posted for some time. Both my husband and I had never met this woman before. For about a nanosecond, I felt flattered. And then the anxiety filled my head with doubt and insecurity. I had thought my audience here consisted of my 25 closest friends and family. My mom doesn’t even read my blog unless her sisters call her to tell her that I wrote about her again. I write whatever comes into my head. There is really no forethought or deliberate planning of content. I write about whatever is going on in my life at the moment that I can neatly compartmentalize according to very clear categories which can be found in the sidebar on the right. Over the last few months, I have wondered what to do about this blog. Blogs can be centred around a number of topics: homeschooling, homesteading, cooking, sewing, exercising, crafting, parenting, religion, inspiration, photography, writing, etc. My blogspace has been a confessional, a showcase, a mirror, a scrapbook, a diary, a support group, and just a place to be. It is a record of parts of my life that I choose to reveal to you. In the beginning, I documented the ins and outs of life with littles. It was a means to record information and stories for posterity and to share our adventures with family and friends. The blog has transformed into a platform for my writing and a glimpse into my life raising and schooling 5 children. There are parenting, homeschooling, and general family life posts. When something works for us as a family, I can’t wait to share in case it may work for another family. When something goes horrendously wrong, I share in hopes that I am not the only one making a complete mess of things. Blogging has become a form of therapy at times or a message in a bottle being sent out into this vast ocean of information. But in a past life, I was paid to create. I taught workshops on how to make things – scrapbook layouts, mini books, art journals. I was on design teams and wrote a column in a magazine. I played with colour, shape, and composition as I developed projects to celebrate the everyday moment right in front of you. 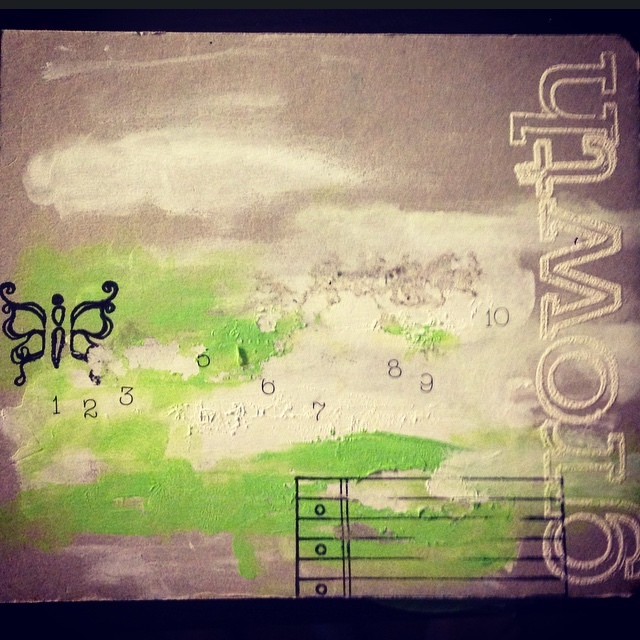 For one of the workshops, I explored Bruce Mau’s Incomplete Manifesto for Growth. 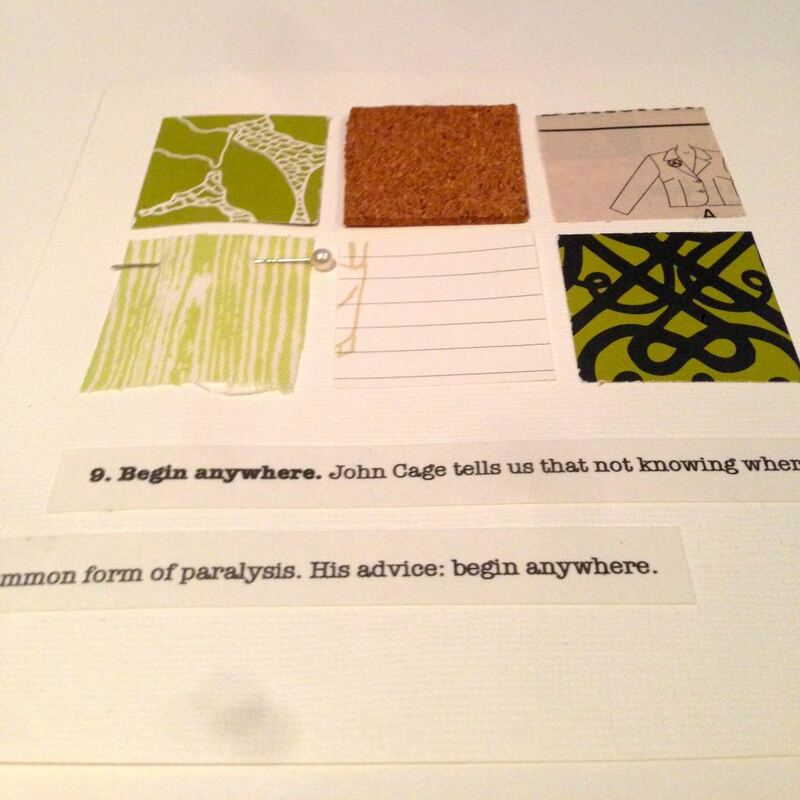 In this workshop, I taught participants how to create an art journal based on some of the statements. I took this book out recently as inspiration for an art journal workshop that I was creating for children. As I read through the manifesto, I knew that I wanted to use these statements as my own jumping off point for not only creating but for living. This is what I want to infuse in this blog: life experiments, an exploration of growth, and making connections through the creative process. As the kids grow older, I am drawn to the creative life again – working with my hands, making things for sake of creating, and writing with reckless abandon. I make connections through art and through writing. Educating my children is an art. I rack my brain for creative ways to deliver a message. I want to create opportunities for them to create freely and without censure. I want to “keep the channel open” for them. And the best way I know how is to keep my own channel open. Every Monday, I will post one of the manifesto statements as an intention for the week. I will keep it in my consciousness as I pay attention to my day-to-day. I won’t go in order. I will pick a statement each week randomly and see where it leads me. Starting with #9 seems appropriate. Throughout the week, I hope to share thoughts on this statement of the week – a homeschooling/family life post, a creative post, and a reflective post on Friday. 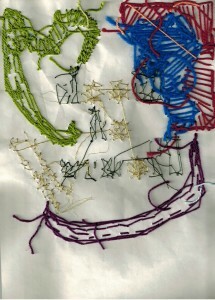 By starting this project through the blog, I am accountable. It is easier for me to make the commitment and to follow through with it if I state my intentions publicly. Join me in this project. Grab a journal. Buy a canvas or find a scrap of paper. Start a blog. Leave a comment weekly. Pay attention. Ask questions. Take a leap. Doesn’t that sound lovely? What do you do for a living? My work is loving the world. We are all artists – we create and destroy our lives over and over again according to how we see the world. If we learn to love it through paying attention, we can reconnect ourselves to each other, the earth, and our own selves. You just have to begin somewhere. Anywhere. When I read the opening paragraphs of this post I thought for a minute this was going to be a “goodbye, I’ve decided to close my blog,” post. I felt disappointed because I really enjoy your writing. It could be that I am the only reader of your blog who is not a friend or family member (or perhaps there are more of us than you know???). I have no reason to be here reading outside of the fact that I’m interested in what you have to say and, as a fellow homeschooler, I’m curious about how you do that. Lately, I’ve felt a shift in my thinking about homeschooling. I’ve always been interested in how others take Waldorf education and then make it something entirely unique to themselves, but right now I feel that we’re at a critical juncture where we simply have to do that or go mad. In the beginning, I didn’t have any preconceived ideas about what we “should” be doing but then I joined a few yahoo groups and suddenly had other people’s voices inside my head prescribing what life should be like inside my home. Some things were a good fit for us, but those that were not became a millstone around my neck, either resulting in guilt or resentment or exhaustion or just plain unhappiness. I’m starting to make changes and it’s helpful – and exciting – to me to see that you are doing this too. I may take some of your ideas, but then again I may not. What is important to me is to “see” other people going through this process because it kind of gives me encouragement to just be me. I like the sounds of your project. I’m going to look for a new journal to join in. And I’m glad you’re not closing down your blog, Rozanne. Thanks for that lovely comment, Cathy. And I too have joined those yahoo groups and implemented things that just didn’t feel quite right for my family. It’s taken a few years to really get to this point where I am truly seeing the art in teaching – looking closely at my child and our family identity and redesigning how and what I present to them. It’s been quite amazing this year to see this little experiment of mine unfold this year. I am so happy you are here and that my stories matter. Thank you and glad you are coming along for the ride…This should be fun! I love this post and love your blog! 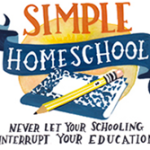 I just found you through the simple homeschool post. I, too, love handwriting. I have letters from my grandmother, still perfectly written even after she broker her collar bone. The holidays make me crave her hand dusted, hand cut jelly cookies with her over excited laugh and super big hugs. Begin anywhere – what a great mantra to just start. Thank you for your gift of being online. Right now, I’m still raising littles, don’t often get a moment to myself. Your blog was a big gift today! Thank you. Next post: a back story + gr 2 & gr 4 animal blocks. Previous post: 14 things i have learned in october.